Near the border triangle of Austria, Germany and the Czech Republic you can find Aigen-Schlägl. The village is nestled in the rolling countryside of the Mühlviertel, a region in Upper Austria. One of the biggest attractions is the monastery which was built in 1218. If you prefer beer to monasteries then you've come to the right place too. The monastery has its own brewery with its own brand of beer. If you're in the mood to play sports after a few beers then here are plenty of possibilities here. From swimming to fitness, everything is possible in this hospitable Austrian village. Aigen-Schlägl is a small ski resort and therefore very suitable for families with children. The nearby ski slopes total 20 kilometers of lovely skiing suitable for the whole family. This friendly ski area is well managed and ensures that there are no long queues for the lifts and the mountain restaurant is not overrun with tourists. With regards to après-ski, you shouldn't not expect too much in Aigen-Schlägl but you can enjoy the sauna or swimming pool after a hard day on the slopes. The ski resort of Aigen-Schlägl is just a few kilometers away from Hochficht and its name stands for "snow and fun". 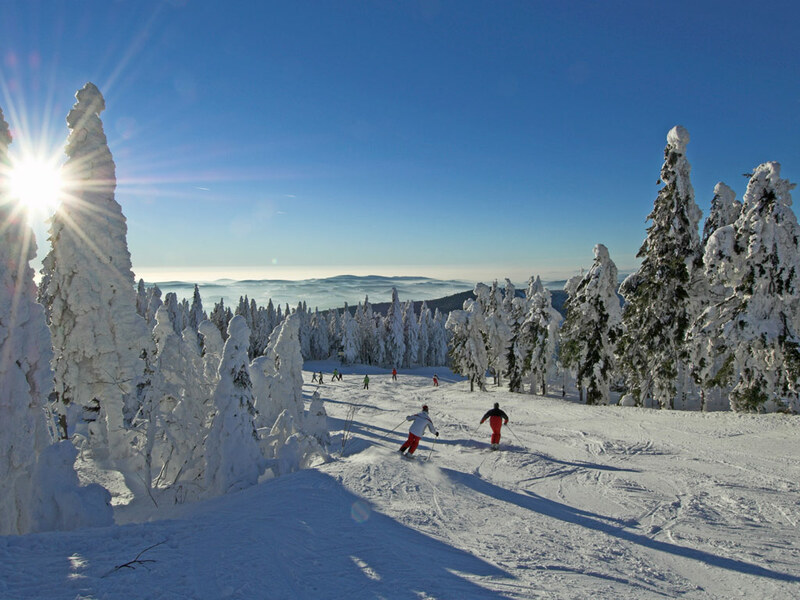 It is located in the heart of the Bohemian Forest, and is Austria's most northern Alpine region. The rolling, especially runs are great for all types of skiers but intermediates will be particularly in their element as there are a lot of red runs here. The small scale area is also ideal for the kids too. If you like competitions and doing jumps there is a special boarder and ski cross course where you can put your skills to the test. Cross-country skiers come to Aigen-Schlägl to enjoy the long and beautiful trails just waiting to be discovered. 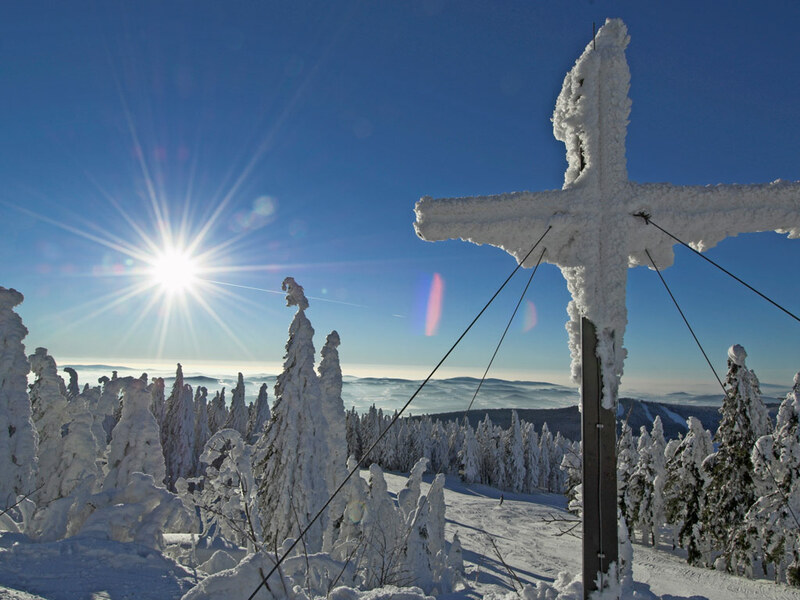 With a direct connection to the ski resort of Hochficht you will find more than 70 km of cross-country trails through the stunning Bohemian Forest. All trails are well prepared, and there are trails for both the advanced and novice cross-country skiers. You do not come to Aigen-Schlägl for the après-ski, you come here to enjoy the natural surroundings, the fresh mountain air and the hospitality of the locals. For lively après-ski, you must choose one of the more famous ski resorts in the Tirol.